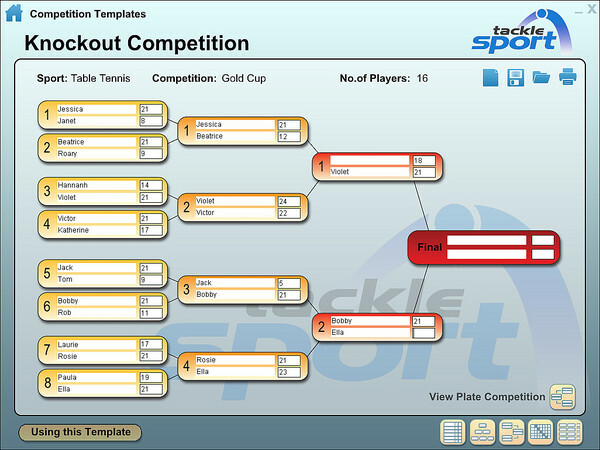 If you are running any form of competition, this interactive competition template generator (downloadable software) will take make planning and tracking results simple, straightforward and quick. 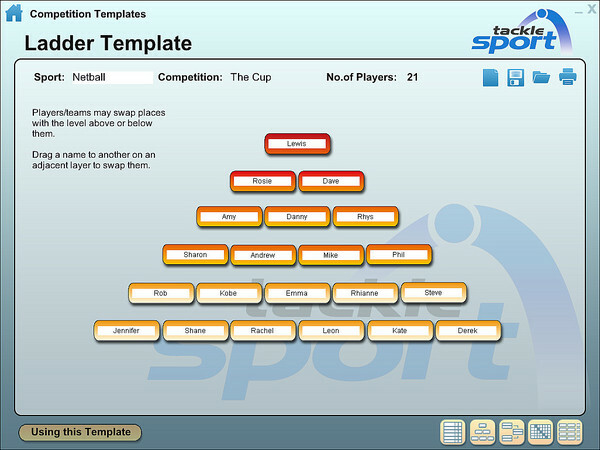 A range of editable templates are provided for leagues, knock-outs and pyramids, with the ability to add player or team names. 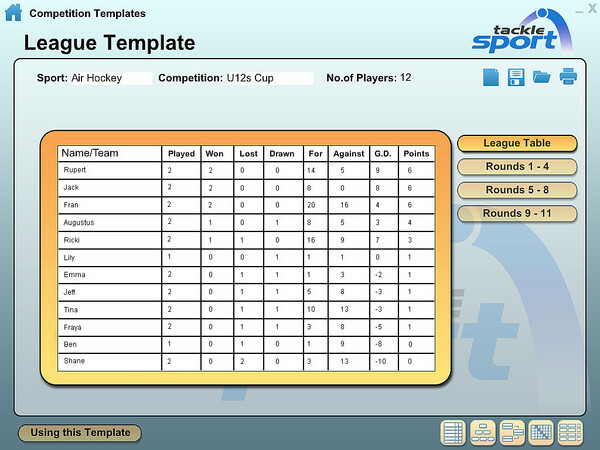 Points calculations and ordering is automatic, and the generated templates can be saved for future editing, or printed for display on noticeboards. 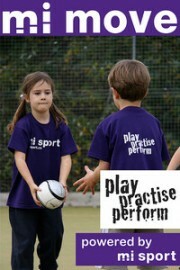 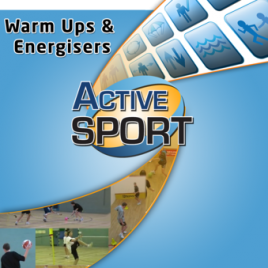 Active Sport – Warm-ups and Energisers has been designed to support a ‘Learning through Games’ approach by giving teachers and coaches the ‘tools’ to deliver enjoyable, engaging and yet challenging lessons and sessions.